E-e-e-e-e-e vitamins are your antioxidant friends! Vitamin E plays a significant role in immunity and heart health, linked to lowering the risk of heart disease, and is a main antioxidant that fights against free radicals. The food sources of your E include: nuts, vegetable oils, and some green vegetables. The superstar E: among people with early-stage Age-related Macular Degeneration, a supplement containing large doses of vitamin E combined with other antioxidants, zinc, and copper showed promise for slowing down the rate of vision loss. 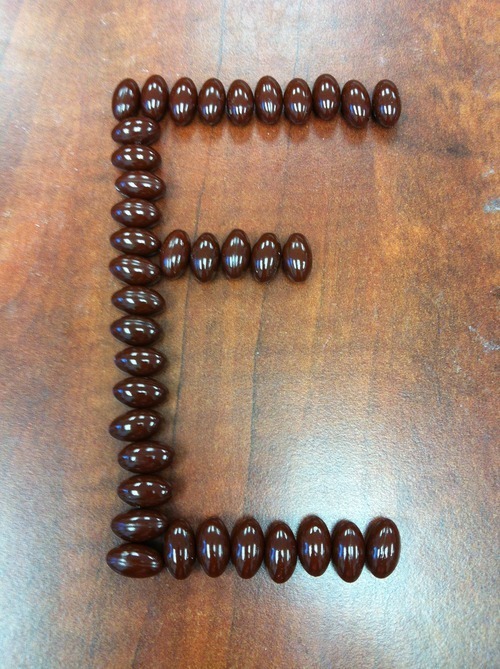 The elusive E: Vitamin E dietary supplements can interact or interfere with certain medicines that you take. Deficiency can result in: nerve and muscle damage that results in loss of feeling in the arms and legs, loss of body movement control, muscle weakness, and vision problems. Interesting facts: although vitamin E sounds like a single substance, it is actually the name of eight related compounds in food, including alpha-tocopherol. Each form has a different potency, or level of activity in the body. We recommend: Shaklee’s “Vita-E Complex” which contains selenium to complement the activity of vitamin E.
Remember: the amount of vitamin E you need each day depends on your age!.